Maria's alive!!. 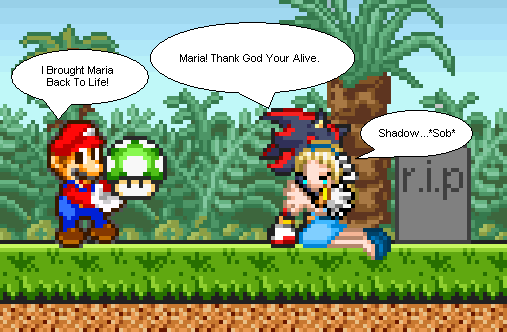 Hmmm mario bringed maria alive, least shadow is there to comfort her. Wallpaper and background images in the Nhím Sonic club tagged: sonic hedgehog sega shadow maria. Awwww! Don't you wish that this could actually happen? LOL Mario had a great idea! !